CLOSEOUTS. 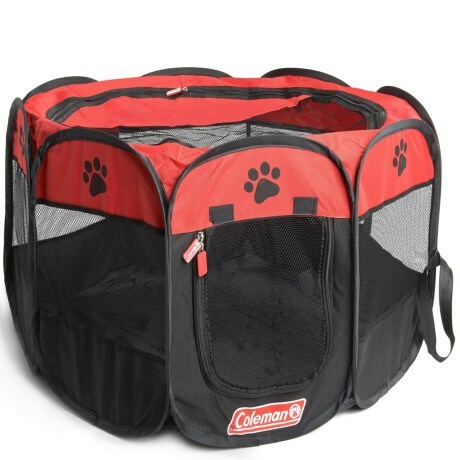 Colemenand#39;s Pop Up pet playpen keeps your little pup or dog safe and secure when you canand#39;t give him your undivided attention. Made of sturdy nylon and mesh for optimal airflow. Available Colors: RED/BLACK.